Europe’s forests cover about 40% of the EU and make a crucial contribution towards the Paris Agreement and the Sustainable Development Goals of the United Nations, and are essential for reaching concrete results with regards the priorities of the European Union. 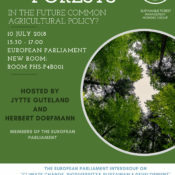 The importance of forests and Europe’s growing bioeconomy cannot be sufficiently emphasized and require concrete measures to boost the multiple benefits for the climate and the circular economy that forests can bring, whilst addressing the internal and external forest-policy issues across the whole forest value‑chain. The EU’s Rural Development Policy is the main tool to support the implementation of sustainable forest management, and thus enable contributions of forests to improve competitiveness and job creation, in particular rural areas. Investments in sustainable forest management (including infrastructures, genetic resources management, climate measures) ensure forests’ health and vitality, while the delivery of ecosystem services induces positive trends in the further development of forest resources. The role of forests was also addressed in the Cork 2.0 Declaration which sees forests as an engine of rural growth and in the European Commission Communication The Future of Food and Farming. It is therefore essential that sustainable forest management stays at the very core of the EU’s Rural Development Policy after 2020. The aim of this event is to highlight the essential importance of forestry within the new CAP, while at the same time gathering key policy-makers and stakeholders to engage in this discussion. 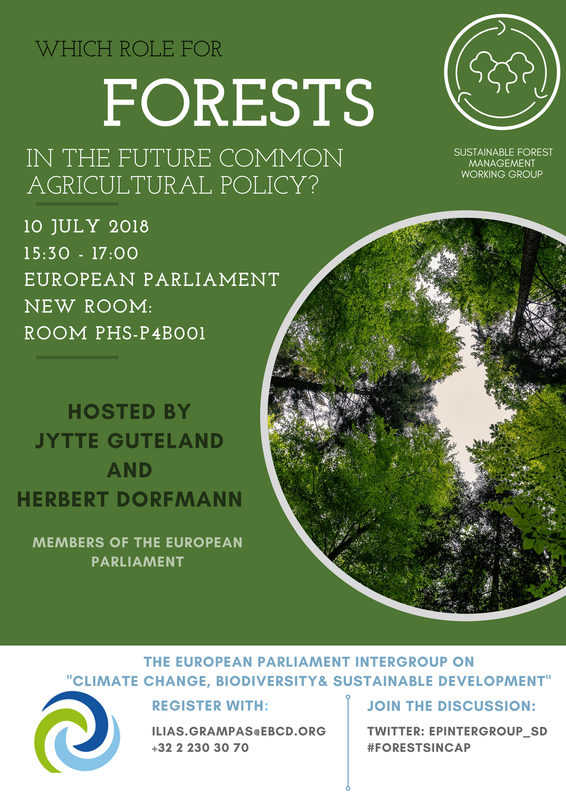 This event is co-organised with EUSTAFOR as well as CEPF, and will be followed by the Summer Reception at the European Forestry House, 66 Rue du Luxembourg, B-1000 Brussels. More information and registration under this link.